Open, open your heart to Me, says the LORD, and I will come in. 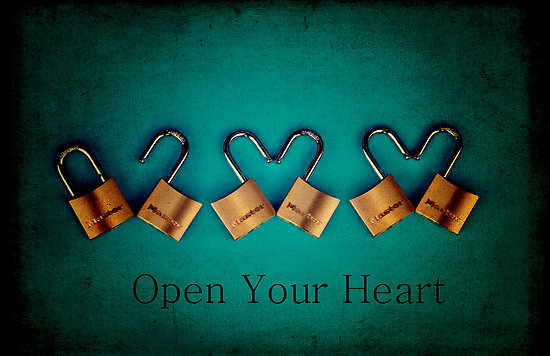 Open, open your life to Me, and I will orchestrate it for you. I will undertake for you. I will direct your path of righteousness in Me by My Spirit. I will undergird you, and I will hold your hand, and you will not fall. For I will be with you in trouble to bring you through it safely and victoriously. I will give you wisdom and knowledge and understanding in Me by My Spirit in you, and your life will be abundant in Me, says the LORD, and you will great peace. You will have your life hid in Me, and you will have new life in Me, says the LORD. Your past will not dictate the future and it is not the Lord of you. I will bless you with rain on your portion of your inheritance and you will have your promises from Me fulfilled. Your land will yield its increase. I will cause you to prosper in your land, and poverty will be under your feet. And I will carry you into your promised land, on time. I will make you the head and not the tail, and your basket will be full and not empty. I will bless you when you come in and go out, and you will rejoice with the harvesters, as you reap the good of the land, says the LORD. I will heal your land as you allow Me to be the Lord of your life, and I will protect your borders from your enemies, and I will give you peace. I will prosper you, and I will pardon you, and heal your land, says the LORD. I believe and declare that your words are spirit and truth and it is manifesting in my life now.in Jesus name.